Display your winning homerun ball or a special signed softball with the Acrylic Softball Display Cube - with engraving! 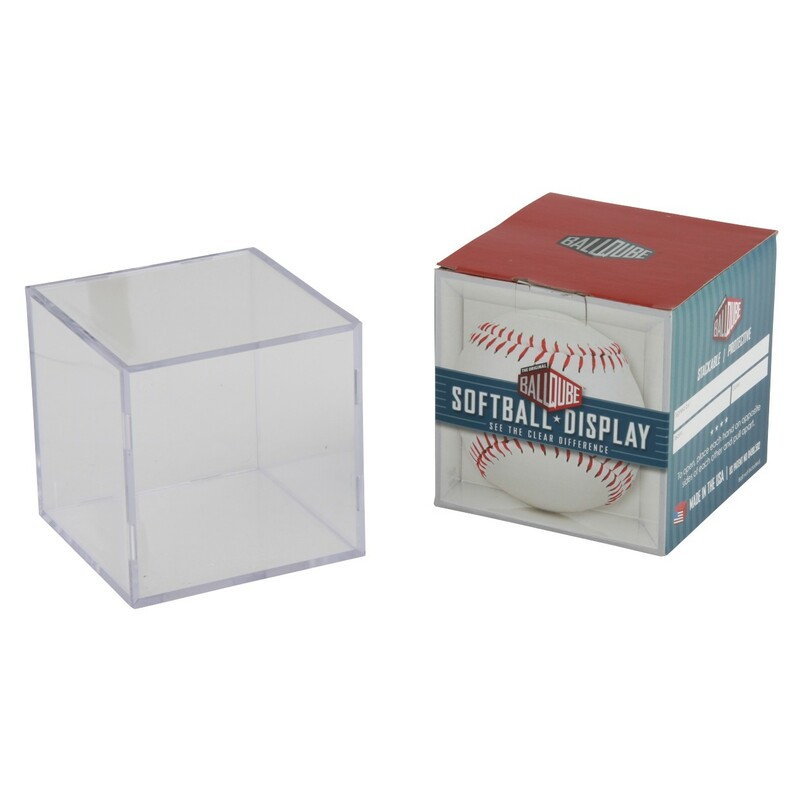 This clear acrylic box is the perfect size to keep and display your softball safely! Record the date of the game with your engraving on a black brass plate. This display is a great alternative to our softball mitt holder awards!